I used to be the girl with one and a half bottles of foundation. Now, I have quite a few bottles of foundation because I have come to love foundations. 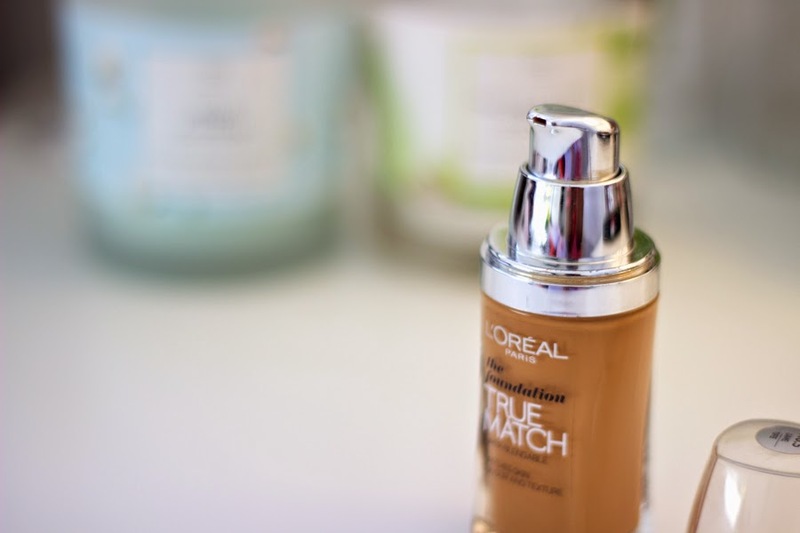 I recently got into the Drug store foundation game because I was curious and had heard a lot of good things about current drug store foundations as various brands have been whirling out innovative and reformulated foundations. 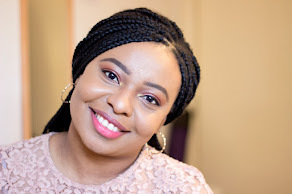 The major reason for not trying Drug store foundation in the past was because I found it difficult to get my hands on a suitable shade to suit my skin and that totally put me off. But thank the Lord, some brands have woken up to smell the coffee and a variety of shades are available these days. Not that all shades are available but it is certainly better than it was in the past. 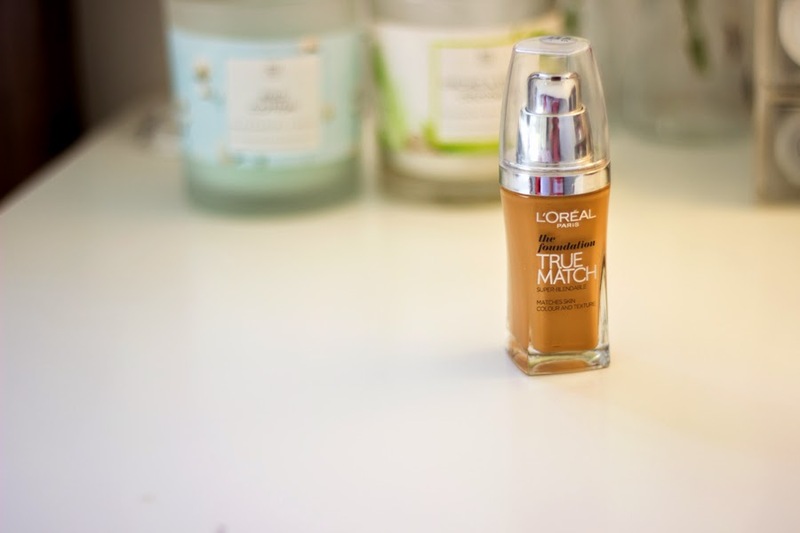 L'Oreal True Match Foundation has been around for a little while and various celebrities have endorsed it and been included in their campaign such as Beyonce and Eva Longoria, one of my two favourite women ever. 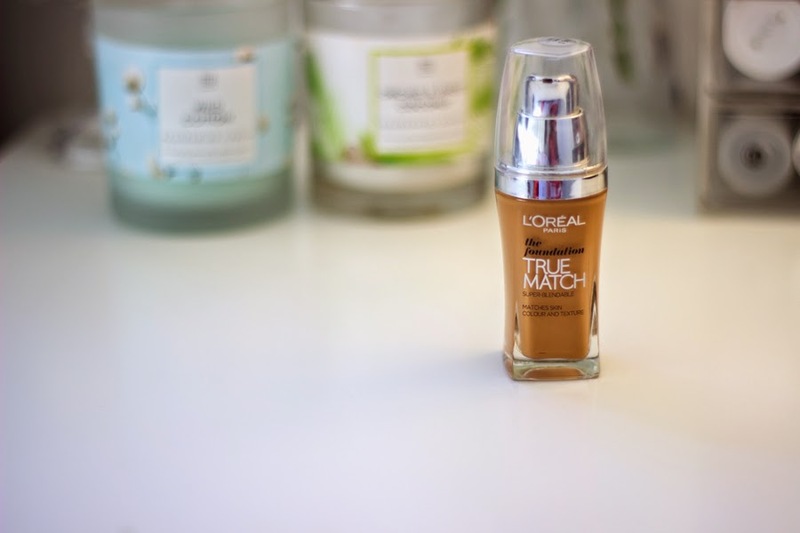 Although it is called True Match, I struggled to find my shade but I finally found it..phew!! I am very pleased that the packaging has a pump because I would never have bought it if it did not have one. I heard the ones available in the USA have different packaging (without pumps) although they have a wider selection. It's a glass bottle as well but it feels quite light and I really like it. It gets a little messy after use and I think it may be down to the design of the pump but it's not too much of a hassle as I just clean it straight after. I hate messy looking foundations :-(. As mentioned earlier, finding a suitable shade for me was quite a challenge. I first purchased N8 which was wayyyyyy too dark for me. Then I tried W7 which just looked too funny. Then I finally settled for the N6.5 which is just fine. I though the N7 would have been perfect but I was wrong; it's way too light and I don't understand how N6.5 is darker than N7; I thought it got darker as the number increased...oh well!! . Apparently the shades come in either C for Cool Tones, W for Warm Undertones and N for Neutral Undertones. 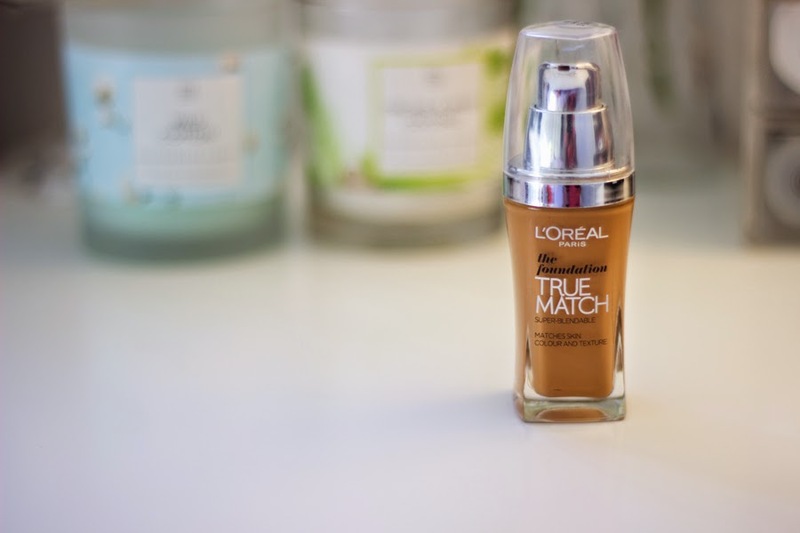 I am quite impressed with the wide variety of shades as they claim to have up to 20 different shade and that is pretty impressive for a Drug store brand but then again, L'Oreal is one of the game changers in the Beauty Industry. I find the texture really good and it blends well on application. It is a bit liquid-ey which I don't mind at all but you have to be careful when dispensing it from the pump as it may smear round the bottle and look messy. It is a semi-matte finish so it is perfect if you have oily skin. If you have dry skin, don't fret, this does not cling to dry patches but I would imagine it would if you layer it and build it up. I would also classify this as a medium coverage foundation which can easily be built with caution because you may end up with the dreaded cake face if you layer it too much. 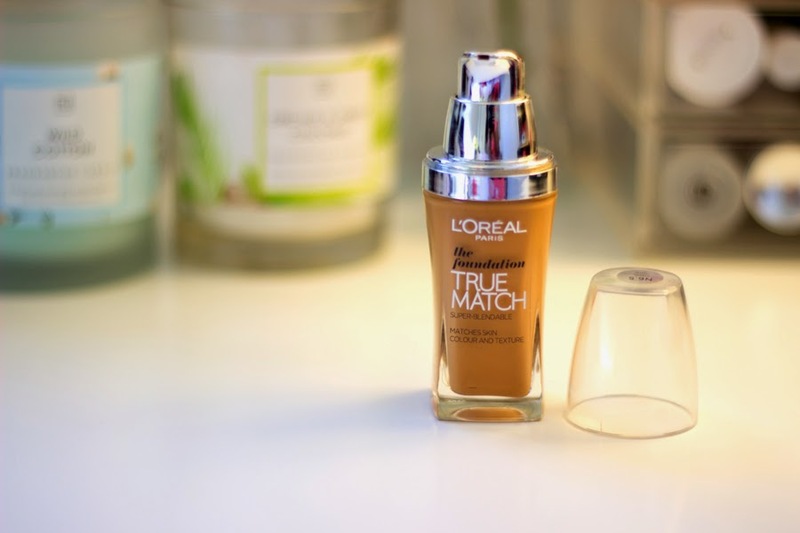 One layer blurs out most of my blemishes and imperfections and I go over stubborn blemishes with either my L'Oreal True Match Concealer or the Revlon Colorstay Concealer. In terms of lasting power, it has quite a good lasting power especially if it is paired with a primer and set with a light powder. 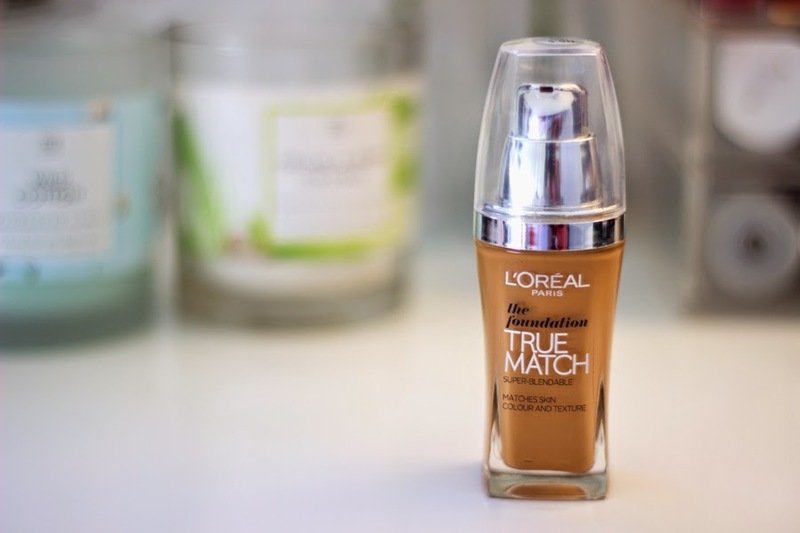 I really like it and my oily T-zones have not been as bad as with some other foundations. I love this foundation because you can pretty much apply it with a variety of tools including the beauty blender. My weapons of choice are the Real Techniques Expert Face Brush or Buffing Brush, Wilko Stippler Brush and an unbranded Dome Brush similar to the Real Techniques Buffer brush which by the way is perfect for this as well. It applies really well and sets in a good time; not too fast and not too slow. I have not noticed any oxidation at all. I pair it with my MAC MSF in Dark and that makes it look much better and sets everything in place. It retails for £9.99 and I am not sure I had any deal but Boots and Superdrug and many online stores are forever having offers on L'Oreal products so you never really have to pay full price for it. I think it's really good value for that amount and the quality is much better than a few Drug Store Foundations I have tried. 1. I think that some shades for darker skin ladies or people with olive skin may be more difficult to find than other shades. 2. 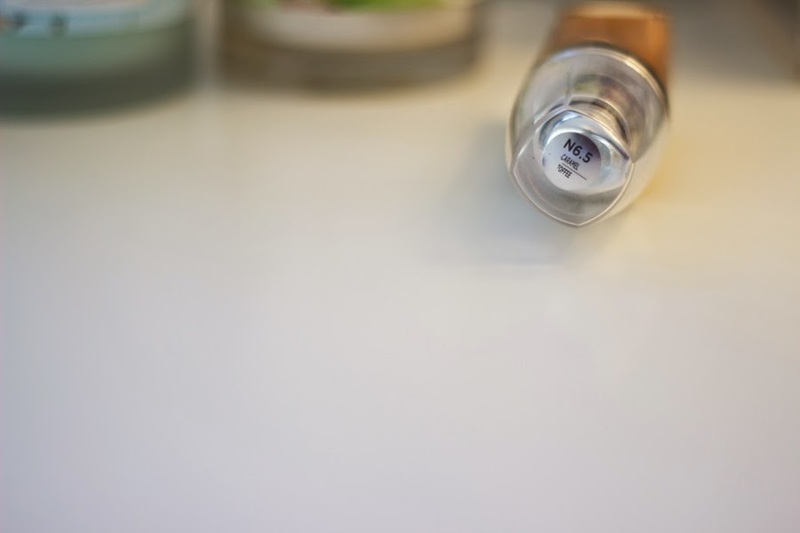 If you have dry skin, this may cling to dry patches if you layer it too much. Hi! 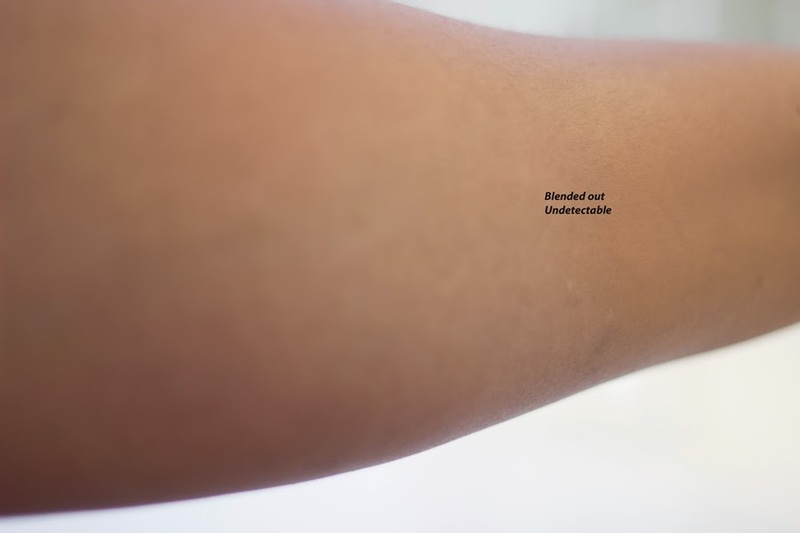 Thanks for the post :) I love this foundation too, and can relate with you on the struggle to find a shade especially if you have dark/deep skin tone. I got N8 (too dark) and then N9 just happens to be lighter than N8, in the UK anyway. My winter shade is N9 and for the rest of the year I mix the 2. 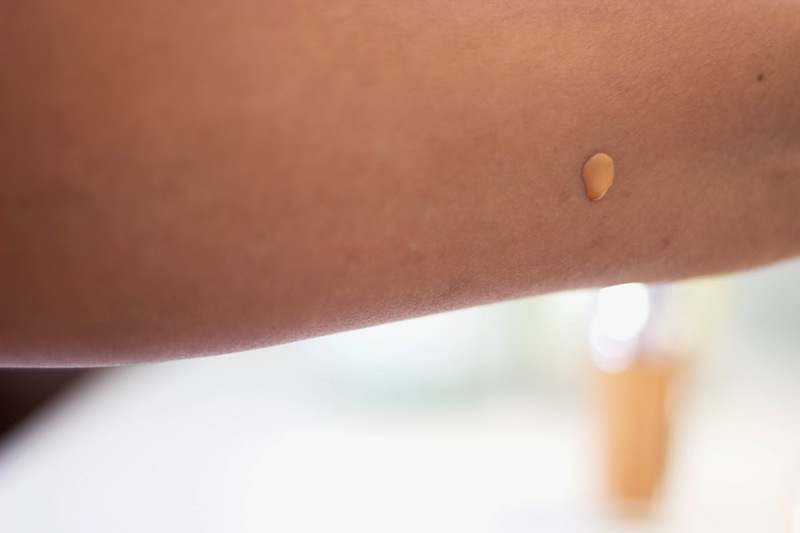 I love it and it is my favourite foundation. Love your blog!